Preston based Bowland Foods Limited has denied a food safety charge. The Food Standards Agency has launched a prosecution against the company alleging it consigned unsafe meat to three companies: Swaledale Foods Limited, J Pitt Butchers and R Porter. The family firm operates a meat cutting plant at Roman Way Industrial Estate, Longridge Road, Preston. It is alleged the bovine material it supplied still contained parts of the spinal column, which could be deemed a risk to human health. The company faces a charge under the Transmissible Spongiform Encephalopathies (England) Regulations 2010, which were brought in to tackle diseases that affect the brain and nervous system of humans and animals, including variant Creutzfeldt-Jakob disease in humans. The firm has entered a not guilty plea. 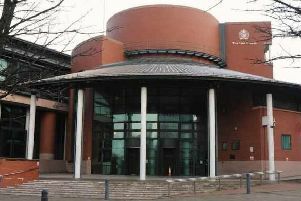 The case was adjourned until April 16 over a legal argument, with an expected trial on May 20 before Preston magistrates.